Discover Madeley’s hidden historical gems on this self-guided trail. 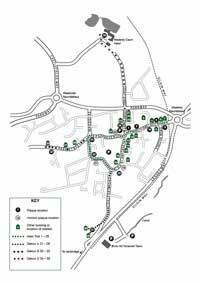 The trail will be available from the beginning of December 2012 as a leaflet from Madeley Town Council, Jubilee House, High Street, Madeley. Please use the menu on the right to find different sections of the trail. Material in this section of the website reproduced by kind permission of Madeley Town Council. Beyond this page, most photographs can be clicked or tapped (iPad) to show a larger version. Photos in this section (Town Trail) copyright Madeley Print Shop Ltd, please email for permission before using or downloading. Illustrations on this page by Maggie Humphry (not clickable). The map of the trail can be viewed or downloaded as a pdf by clicking here or below. 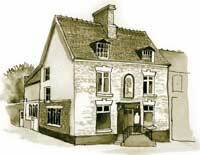 There is more information about some of these buildings elsewhere on the Madeley Local History site. Please see the links below for more in-depth information about the history of some of the buildings. Afterwards you can use the main website menu on the left to come back to the trail.